In all my years of writing about tea, there’s one subject I don’t think I’ve touched upon in great detail. That being: Aged oolong. 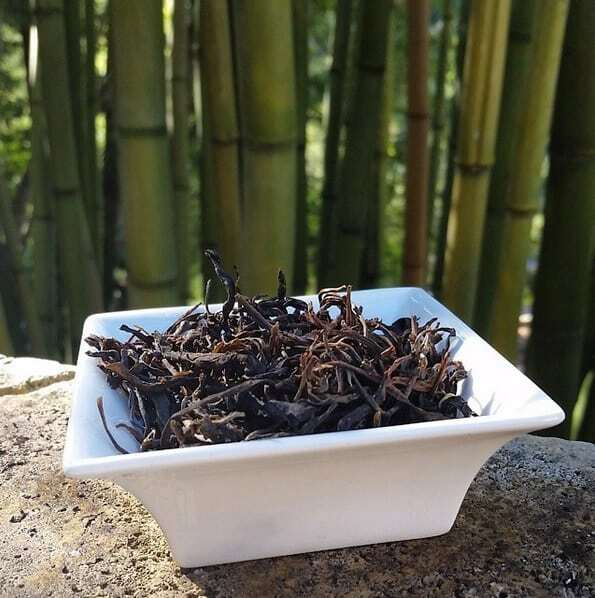 Well over a year ago, Tony “World of Tea” Gebely posted a photo of a dark tea on Instagram. It was an aged moacha (i.e. the rough stuff used to make puerh cakes) . . . but it was from – of all places – Thailand. Used with permission by Tony Gebely. For obvious reasons, it grabbed my attention. When I thought of Thailand in terms of tea, the only ones that came to mind were Thai sweet tea and Boba (or “bubble”) tea. The former of which was a glass of sugar with a little bit of tea in it; the latter I hated beyond measure. (Tapioca belonged in pudding…not tea.) As a result, it was easy to dismiss Thai tea culture as something only spoken of in giggle-fitted whispers. A travel blog posted by Leafjoy corrected my preconceived notions by relating a rather interesting story. 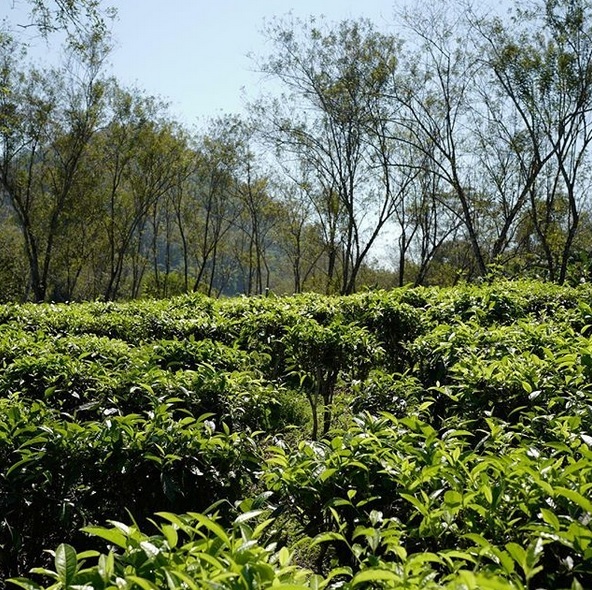 Apparently, in Northern Thailand – a place that’d become a tribal melting pot – they grew their own tea. 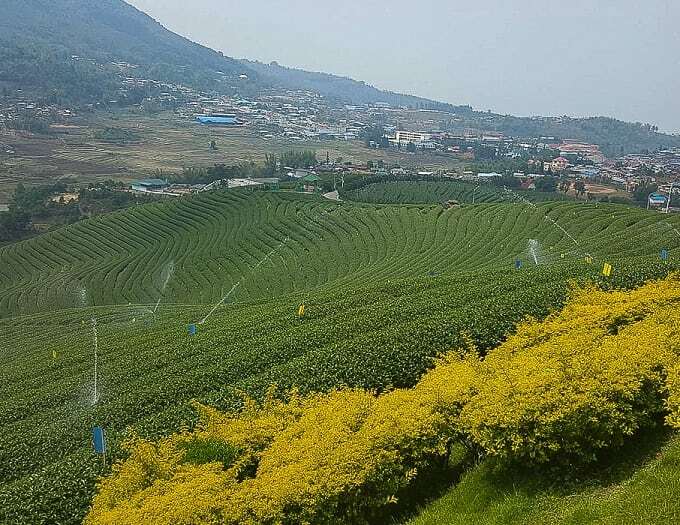 Chiang Rai province was infamous for it’s old cash crop standby – poppies, the primary ingredient for opium. That had since changed to more orthodox offerings such as fruit and tea plants. The entry arched my “Tea WANT!” eyebrow. I hate it when it arches. I figured that acquiring some in recent months would be a distant and unlikely possibility, but serendipity had other things in store. On my Smith Teamaker jaunt to pick up the new Mao Feng Gin, I ran into Steven Smith himself. “I have something you have to try,” he said. He brought out a green bag adorned in Asiatic lettering and poured out some blue-green, balled oolong-ish leaves. The “blue tea” – as he called it – was given to him as a sample from a business contact in Canada. Said contact was curious if Smith wanted to carry it. In turn, he was curious what I thought of it. Neither of us were quite sure what the “blue tea” moniker meant, though. Steven also didn’t have any other details for me other than the tea itself and the growing region (Doi Tung). I thanked him profusely and went home to do a little digging and brewing. The blue tea search left me quite stumped, however. I could find no mention of blue tea other than a listing on the Mariage Frères site for an “Opium Hill” tea. It looked the same as the sample I received from Smith. Unfortunately, their information on it – other than being of Thai origin – was sparse. Dejected, I did what any tea geek would do in that situation. I turned to a more well-versed and aptly-named Tea Geek. He informed me that blue tea (or “qingcha”) was another given name for wulong/oolong. It was a blanket category for all semi-oxidized teas because of the blue-ish hue they take on after drying. It was a bit of a misnomer, much like the Western “black tea” label. The leaves for this were “tricksy” in their appearance. On sight alone, they looked like any normal green-style oolong I came across. The semi-oxidized, blue-green color, and the ball-fisted rolling technique were not too different from Chinese or Taiwanese oolongs. If I didn’t know any better, I would say I was looking at a Bai Hao/Oriental Beauty – a light-roasted one at that. What informed me that I was dealing with something completely different was the aroma. I smelled berries; rather, three distinct ones – strawberries, grapes, and blueberries – fused together. It was like wrapping a Fruit Roll-Up around one’s nose. Given the entirely new experience on sight and smell, there was no specific brewing template to go by. 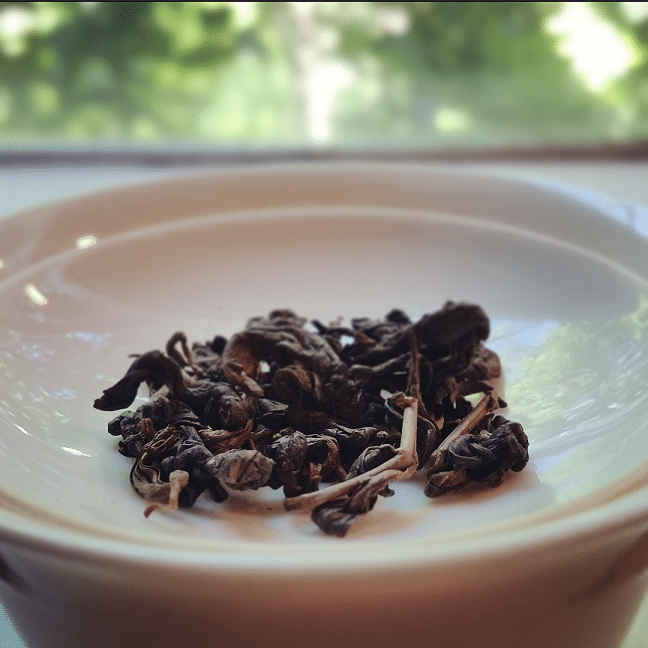 A good default with an aromatic, light-roasted oolong was multiple infusions in a gaiwan with 190F water. Basically, gongfu-style but less formal. I did exactly that with four steeps – two at thirty seconds, two at forty – 1 tsp. worth of leaf-balls. First infusion (thirty seconds): I’ll be honest, it sorta smelled like pondwater. The liquor also looked river-green. The taste, however – while possessing a vegetal forefront – transitioned to a wonderfully floral body and a subtle fruit finish. Second infusion (thirty seconds): This time the liquor took on a brighter color and a more aromatic scent – buttery like lotus blossoms. The floral character also echoed in the taste but with something more akin to jasmine. That could’ve been the somewhat dry forefront. The mid-body was more melon-like this time, very even in comparison to the first. What little aftertaste there was passed by with a smooth texture. Third infusion (forty seconds): Same visual palette but with an indiscernible nose. It was neither an earthy or floral scent but rather something “clean”. In sharp contrast, the taste took on the berry notes I detected in the dry, fisted leaves. Very prevalent in the middle. Again, the aftertaste tapered off pleasantly. Fourth infusion (forty seconds): The liquor color had lightened significantly to a pale yellow, more in line with some spring flush green teas. The taste still had plenty to offer, though. It alternated between fruity, creamy and floral – like a grape that’d been dipped in honey-vanilla and wrapped in petals for warmth. The finish possessed more of a vegetal kick, signifying that it was almost at the end of its yield. This Thai goodie didn’t fade, though, until about infusion #7, much to my surprise. The flavor remained pretty even throughout, no major detractions from its original smoothness. That and it never took on the metallic astringency of an over-brewed Ti Kwan Yin. While the initial steam aroma was off-putting on the first infusion, this was a very reliable introductory oolong. I’m not sure it would hold up in a taste-test against a good Wu Yi or Ali Shan, but right out of the starting gate, I’d say Thailand is off to a damn good start. This was the Shiraz of oolongs. Smith Teamaker – For providing the sample, and for terrific tea talk. I always feel at home there. Michael J. Coffey (purveyor of TeaGeek.net) – For having the world’s most magnificently ironic name ever, and for clearing up the “blue” debacle. He’s a fountain of tea knowledge. Leafjoy – For their informative tea blog and for giving me permission to use one of their photographs.